The local electricity distribution network company, called the Enel Group, has found a special surprise above one of their purification plants. Located in the town of Calice in the province of Prato, parents of a newborn baby stork had secured their nest on top of one of its electric towers. 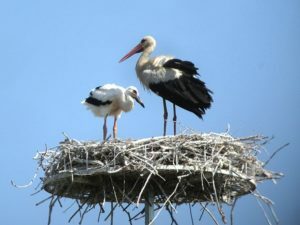 The white stork has returned to Tuscany for their reproductive season. In preparation for this, an animal protection society has built platforms on top of the electric towers ,where the birds build their nests. A measure of protection has been initiated to ensure healthy growth of the stork population. Iolo (Prato) and Caserna (Quarrata), and then in Monsummano Terme (two nests), Altopascio, Pocari, Cascina, and Bolgheri are the bird’s favorite habits. These nests are monitored by Research, Documentation, and Promotion Center of Fucecchio’s Padule wetlands nature reserve. 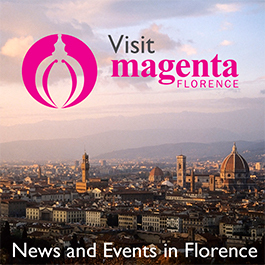 The stork population is growing, and there is now 10 nests in Tuscany, and the community is happy for their arrival.